Reminder: To simplify our product line and allow you to focus on fitting your patients in more innovative products to better address their needs, CooperVision is discontinuing Expressions® lenses on October 31st, 2018. If you have questions about these products or our plans to discontinue, please contact your CooperVision Territory Manager or call 888 475 8555. Expressions lenses let your patients enjoy the best of both worlds: a realistic eye colour change, plus the great vision in a contact lens thanks to their Frequency® 55 Aspheric base lens. 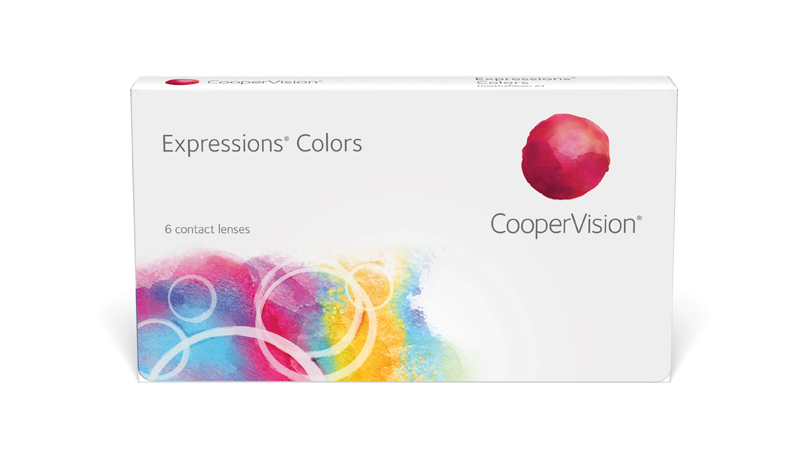 Expression Colours’ three-layer tinting process, consisting of a natural-looking pupilary frill, limbal ring, and radial folds let your patients enjoy a more realistic colour change. Please note: trial lenses are not available for Expressions Colours contact lenses.